The Ontario Seniors’ Secretariat estimates that between four and ten percent of Ontario’s elders experience some form of abuse. 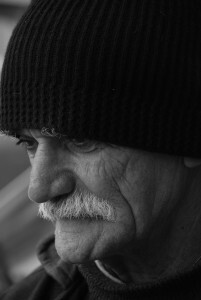 They define elder abuse as “any act or omission that harms a senior or jeopardizes his or her health or welfare.” Elder abuse is usually committed by someone who knows the elder, and has control or influence over him or her, such as a family member, nursing home staff, a friend, or hospital staff. Victims often depend on the abuser for food, shelter, transportation or personal care. Elder Abuse often goes unreported as it is common for the victim to be afraid of their abuser, think no one will believe them, afraid to end up in a home or institution, or is ashamed to publicly admit that a family member is taking advantage of them. If you suspect a friend of loved one is the victim of elder abuse or nursing home abuse, you should contact the Ontario Network for the Prevention of Elder Abuse and also speak to a lawyer. Physical – Physical assault and forced confinement. Sexual – Any unwanted sexual activity. Neglect – Abandoning an elder or deliberately withholding needed services. Mental – Insulting, humiliating, ignoring, threatening, intimidating, or treating an elder like a child. Unexplained missing personal items such as glasses, hearing aids, and jewellery. Certain professionals in Ontario are required by law to report elder abuse. If they fail to do so, they can face a fine of up to $25,000. These roles include: the manager or licensee of long term care home (or the officer or director of the corporation assuming this role), a member of the board of management for the home, a staff member, or any professional that provides medical or social services to the elder or facility.